Barney Ross' parents fled Poland as antisemitic violence gripped the Russian Empire's Pale of Settlement. After scrimping and saving over three years to open a grocery store in Maxwell Street, Chicago's "Bloody Twentieth", Ross' father was gunned down by thieves for refusing to hand over the money in the register. As his mother descended into madness, and his younger siblings were taken into the care of an orphanage, young Barney swore to reunite his family and live a happy life. Ross was a marvellous scientific boxer whose skills make him look like a man out of time on the fight film, and if the skill wasn't cutting it he was simply as tough as any man to ever step through the ropes. 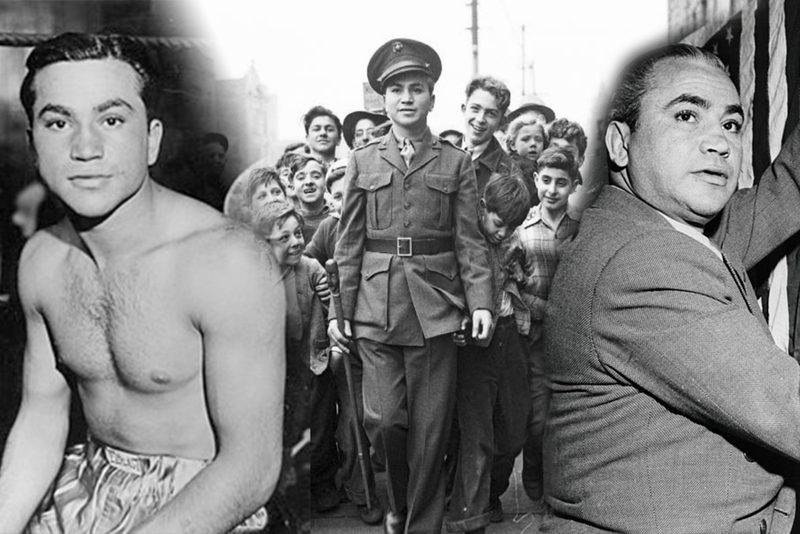 Ross cut a swathe through the sport's lower weight divisions and made history as a three weight world champion, then enlisted on the outbreak of the Pacific War only to become a hero on the battlefield. But Ross' story is more than that: it is about war and depression and addiction, and one which is as relevant today as it was seventy years ago.